I hold a Bachelor of Science degree from the University of Wisconsin-Stevens Point in Urban Forestry and Forestry Administration & Utilization. 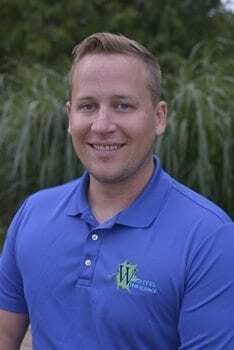 I began my career with Wachtel as a summer intern in 2009 and joined the company full time as a production arborist trainee in the spring of 2010. Since then, I have worked extensively in our Plant Health Care, Tree and Landscape, and Consulting Departments. As of the beginning of 2017, I have led the Consulting Department as Manager following a multiple year mentorship and transition period working closely with Wachtel’s previous Special Projects Coordinator, John Gall. I and my young family (wife-Julie and son-Owen) have established our roots in Hartford, WI. This “rural, small-town” location is ideal to pursue our outdoor passions of hunting, fishing, and camping while still living close enough to enjoy the amenities of large city living in Milwaukee such as attending Brewer’s games and the WI State Fair. The science-based foundation of my education has fostered an interest in the large scale management of urban forests. I like to find a balance between promoting the environmental benefits of trees in our urban communities with the need to be fiscally responsible in our approach to forest management. It is this approach that leads my clients to economically feasible and sustainable urban forest management.